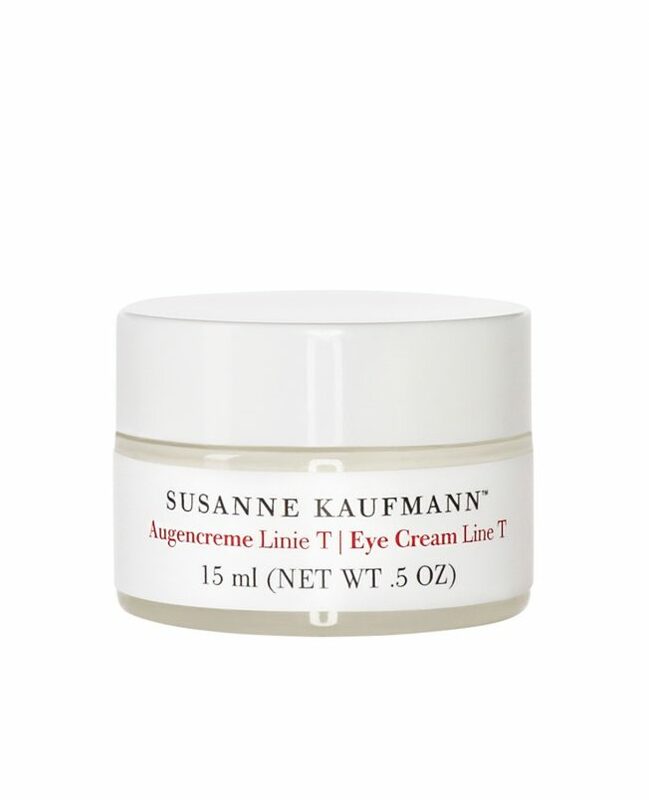 The rich Susanne Kaufmann eye cream Line T generously supplies the sensitive area around the eyes with evening primrose oil and essences derived from camomile, sage and yarrow. This combination of active ingredients gives the area around the eyes a relaxed, smooth feeling, protects it and keeps it elastic. Plant-based hyaluronic acids provide moisture and make wrinkles caused by dryness disappear. Application: Gently work in the rich, eye cream Line T in the mornings and evenings from inside to outside. If necessary, it can also be used as an eye mask by applying the cream in a somewhat thicker quantity and allowing it to be fully absorbed.